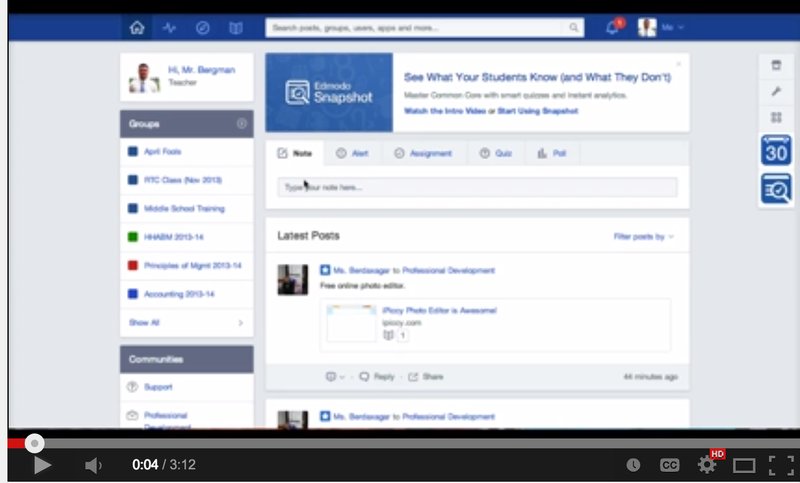 I just learned about this new Edmodo tool from Matt Bergman and I want you to take note of it as well. Edmodo has recently released a new feature called Snapshot which allows teachers to address Common Core standards in their quizzes. To set up Snapshot, just click on "Snapshot" icon from within your account and select the class you are working with. Pick the grade level and then choose the content area of the common core standard you want to address ( Math or ELA ). Snapshot will automatically generate a set of questions which you can customize as you like. You can click on any specific standard listed on the left column to generate questions that align with it. Each student will get a slightly different set of questions. Snapshot also allows you to get real time data from your students when they finish working on their quiz. You will be able to see how many students completed it, the different standards addressed, and the number of questions answered. Watch this video tutorial from Matt to learn how to use Snapshot.